HomeBlogBuying data from abroad. Are you willing to take the risk? We completed the counts got some pricing for different options. Heck, we even got several different UK sources together and gave the client options around which to use as they were at different price points – recency and frequency of update being the major cost difference. Usual stuff. We gave them the options and as it often does, it went a bit quiet. No response to phone calls until eventually, we find out that we didn’t get the order as they got a really cheap deal from another highly reputable supplier. We always try to follow up to see how clients get on and how the data they buy performs. It helps us to keep a tab on the market as we source data from 70+ different suppliers, so we take feedback from all over the place. I spoke to the guy today. He told me very smugly that they had got a much better deal and that they found out that we were trying to rip them off. The other company had told them this. They bought the data from a company in Canada after receiving an email from them offering 500,000 business emails for £200. Pay the money, get the data in an email, you get the picture. I asked if anyone responded? “Well, not really but that wasn’t necessarily the aim of the campaign” – we hear this a lot when campaigns don’t work with dubious data sources. So if the aim wasn’t to get any response, surely the aim must have been to annoy those people instead? How could the campaign be relevant to them all? I asked him how he had managed to separate the consumers from the businesses – obviously sole traders and partnerships are technically consumers, so they would need to opted in under the law. He had no idea what I was talking about. I also mentioned that if they were fined for breaching the regulations, there would be little chance of pursuing a foreign company within their own jurisdiction. Oh and the maximum fine is an eye watering £500,000. He gradually sounded less and less smug and more and more concerned. But he put a brave face on it, so I wished him ‘good luck’ with his next campaign. He might need it. I asked him why, when we had explained all of this to him at the time of his enquiry, he ignored the advice, which we gave for free and why he then proceeded to transfer all of the risk from the supplier, to himself, for the sake of a few hundred quid? Bear in mind that this is a reputable organisation with a lot to lose! If you went to see a doctor and he recommended getting a specific kind of treatment, would you then contact someone who rang you on a cold call or scraped your email address from a website, to get a second opinion? But even worse, if they suggested getting a treatment that cost 10% of the cost of your doctor’s recommendation, mailed in from a foreign country in a brown bag, you would be crazy. If you want good honest advice and a fair quote based on 20 years of experience, backed up by dozens of testimonials, do yourself a favour and ring us or one of the other reputable data providers out there. Save yourself the worry and anxiety of the complexities of the regulations and laws governing marketing activity and a potentially massive fine. Oh and you might get some response and new customers too! KnowledgeBank work with Companies to develop their data driven marketing solutions to generate profitable new customer relationships. We also deliver social media training, consultancy and strategy to hundreds of businesses across the UK. 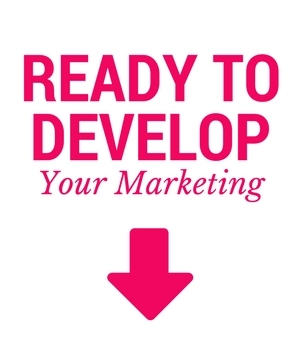 If you would like further information about how you can develop your own marketing activity or social media, please contact us on 01772 978 101.